The Finishing Touches Group Ltd - Tiler - Tiling based in Salisbury, Wiltshire. Does your kitchen or bathroom require some Finishing Touches? Do not hesitate to contact us for a free quote. Not Just Tiling. From total renovations to just maintenance. 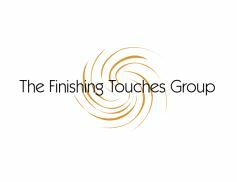 The Finishing Touches Group can redesign your kitchen or bathroom or offer you a complete interior design service. We pride ourselves for offering no limitations to the project you wish to pursue in your property, whether it is a residential or business property. What ever is your budget we will provide you with our highest standard. Our ethos are to work with close collaboration with our clients and suppliers to produce the quality that they deserve. We also offer our very efficient fully tailored Project Management service which covers your personal needs, budget, timings and supplier liaison. The this will cut your stress, time and controls costs. We work upon your ideas. We understand that having work done in your home can be stressful and difficult, so throughout the whole process we will ensure that your property remains as clean and tidy as possible. It is our belief that constant communication with our clients is just as important as professional service; sending regular updates on the project by e-mail is part of our practice. We also offer our after project service and guarantee.